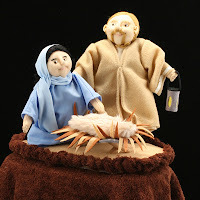 Anyways, they featured a business wherein they make bible characters dolls and puppets. Apart from that, the dolls are irreversible! In one doll, you can have 2 characters from the bible! Sweet! 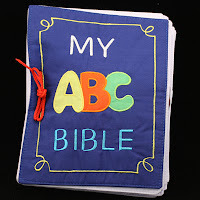 They also make bible story books, ABC bible calendar and handbags which are made of cloth so it's easy to wash and clean. For me, this is one of the best toys that your children could ever have. There are considered as intelligent toys since children will learn to tell a bible story using the dolls and also they will learn religion in a fun way (not the usual type that you learned it in the 4 corners of a classroom). Lot 10 Blk 4 Nickel Drive,Silverhomes, Teheran St.